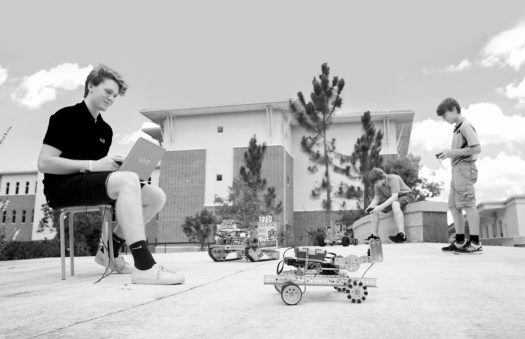 LCS RISE robotics teams had a great showing at the League Championship on Saturday the 19th at Carrollwood Day School in Tampa. The middle school team “Ascend” won the Judge’s Award and was named “Rookie of the Year”. The veteran team “RISE” won the “Motivate Award” with special commendation for their focus on serving those with special needs. Although the teams will not be competing at the State Championship, some representatives will be attending to promote the National Advocacy Conference in Washington in June 2019 and RISE will continue to serve on the National Steering Committee. Next up for the robotics teams: Hosting the FIRST Advocacy Conference in Tallahassee in March 2019.